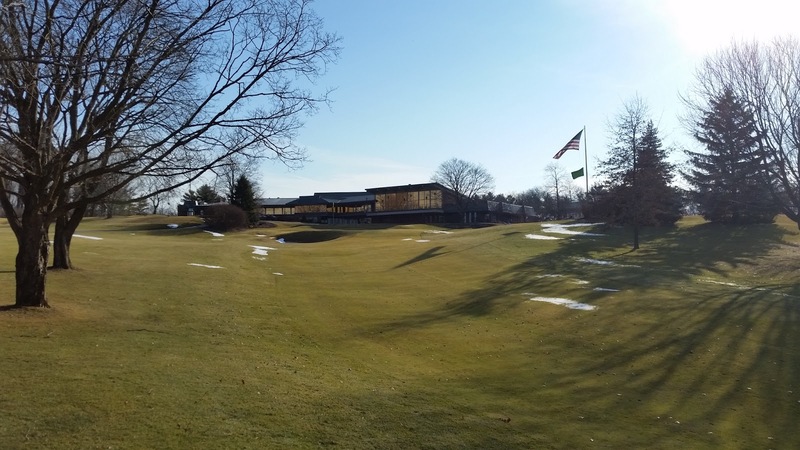 I am happy to announce that the golf course will open on Friday, March 11 at 12 p.m. for play. Tee times will begin at 9 a.m. this Saturday and Sunday. 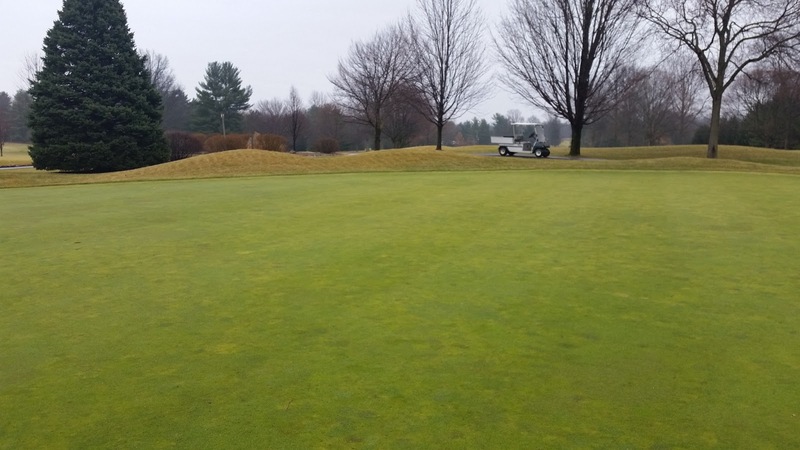 The staff has done a great job with the clean up from winter’s wrath, and the turf has started to show some growth thanks to well above average temperatures. 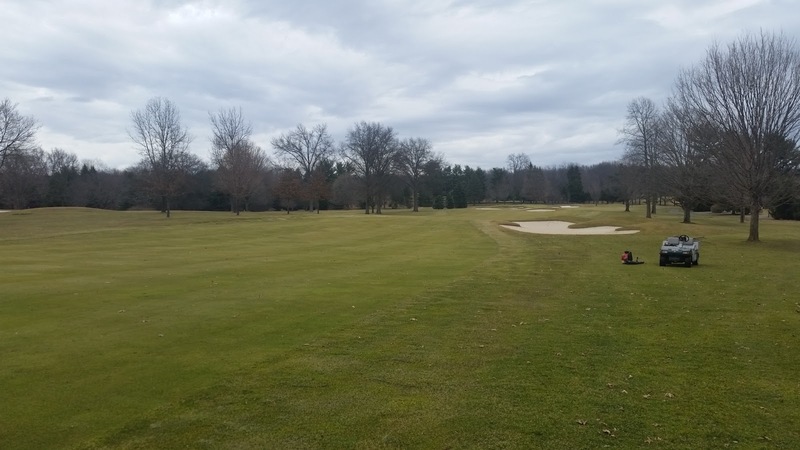 Over the next few days, we will begin mowing and rolling playing surfaces, and getting the bunkers back in shape in anticipation of a great 2016 golf season at Elcona. One note of caution: As we have focused solely on debris clean up, we have still many empty stump holes and areas where we have ground roots down that need to be filled with soil. These areas will be flagged or roped so that they are easily identifiable for you, and they should be treated as ground under repair. We will begin filling them next week, starting with the areas closest to the normal route of play. If you have any questions, please email me at ryan@elconacc.com, or call the maintenance facility. 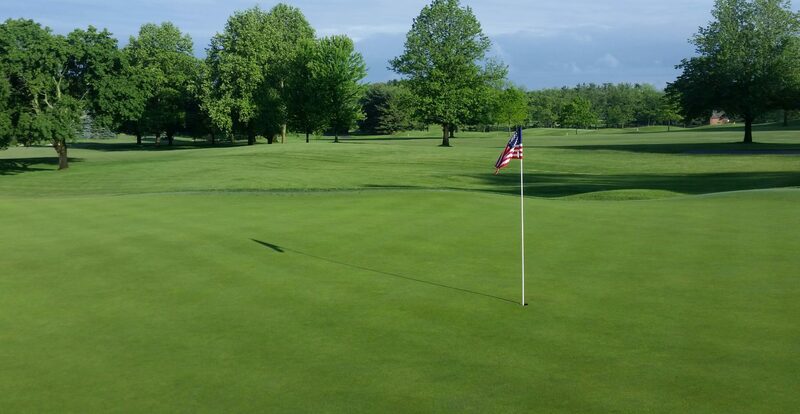 I hope to see you out on the golf course this weekend! Stump hole on #2. Caution around these! As the warmer than normal temperatures swing into our area this week, we are in total clean up mode. As much as possible through the winter, we try to keep up with the downed sticks and debris that come with winter’s sometimes howling winds. This clean up takes the staff and I about 2-3 days. Snow is still present in shaded areas and hopefully will be gone by this afternoon. 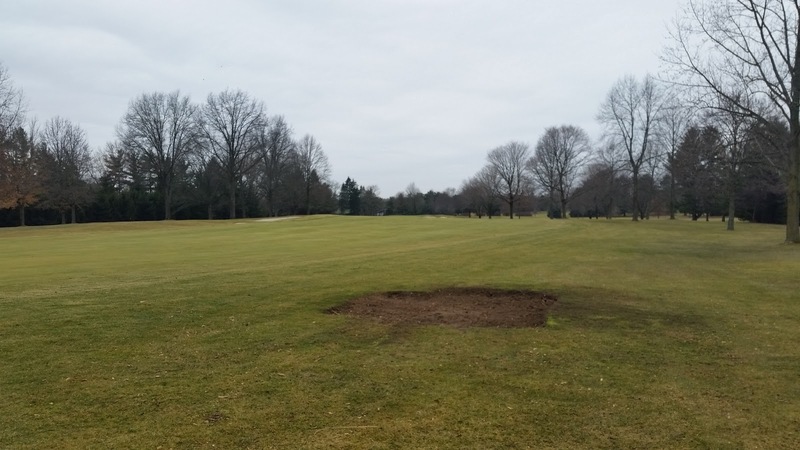 With virtually no frost in the ground, drainage from rains and melting snow should be open, albeit at a slower pace. Rest assured, Tom and I will open the golf course when it is playable and the risk of traffic damage is minimal. Golf is coming soon! 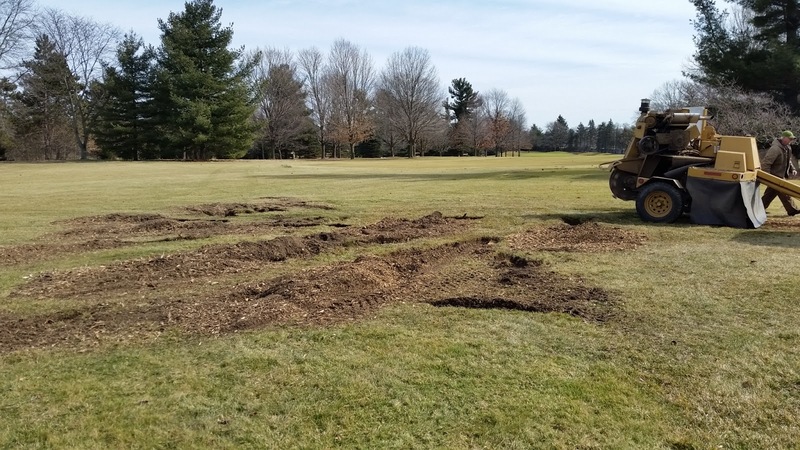 While the ground was thawing, the staff and I worked on a couple of other projects that may not directly impact the golf course, but were welcome changes that indirectly impact our operation. 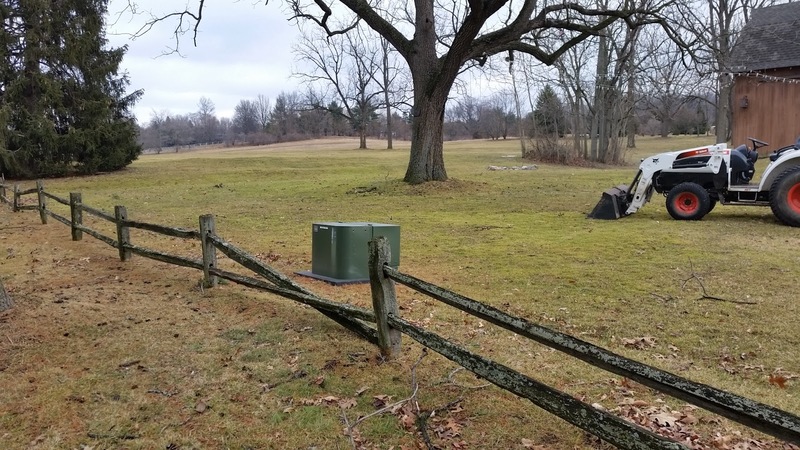 First, some of you may have noticed that the split rail fence around the Miles Barn on the north end of the property was deteriorating rapidly and was in need of replacement. 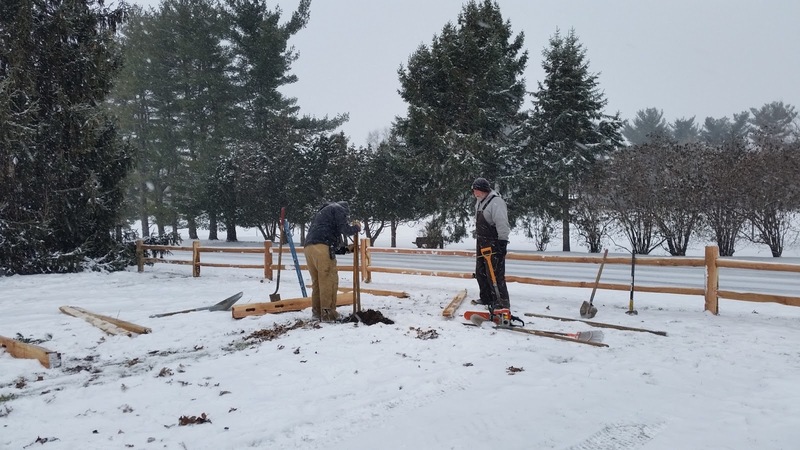 With increased event bookings for that beautiful Elcona feature, it was time to improve the aesthetics of the surrounding area. 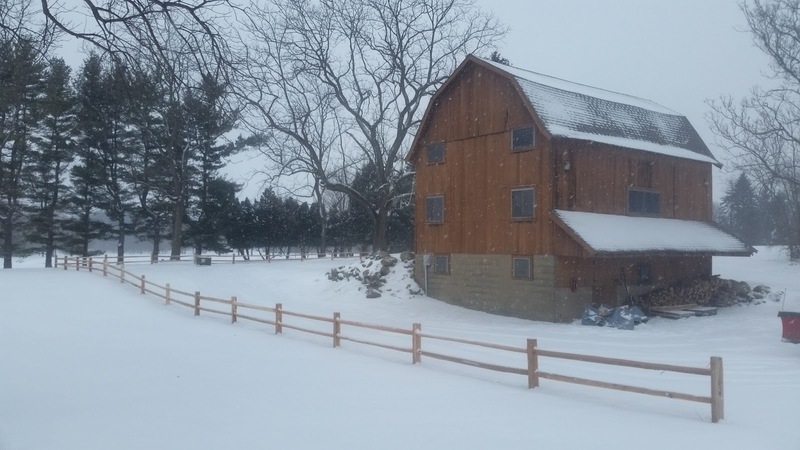 That replacement is complete on the north and west sides of the barn, with a few additional rails needed on the side facing the practice facility. The fence turned our great in my opinion. We also added a digital job board to our facility. As many of you know, I love technology and applying any impactful uses to our operation to increase productivity. This job board allows myself and our assistants to plan our staff’s tasks from anywhere in the world, via cloud based Google Docs. 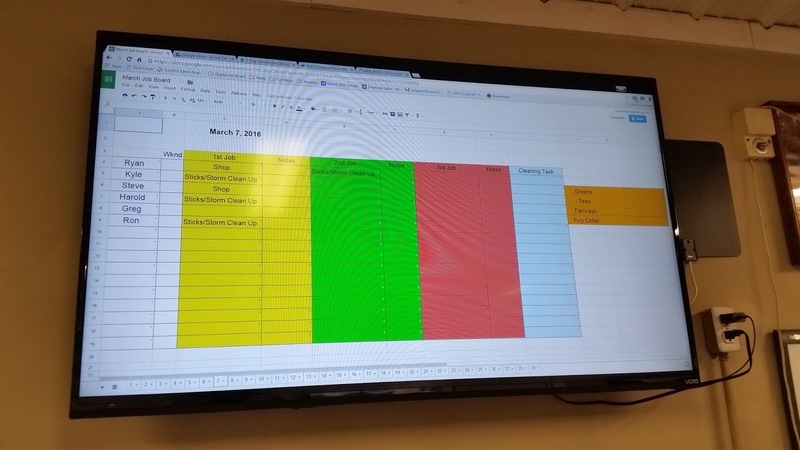 If we see the need to change tasks mid morning, we can change the job board in the field at a moment’s notice, instead of chasing staff all over the golf course to communicate changes, driving back to the shop to change the board, and/or taking additional time away from course set up or whatever tasks the morning requires. This board also gives us the ability to perform more impactful training presentations in regards to operational and safety practices, club events, and the ability to communicate real time weather and radar information.